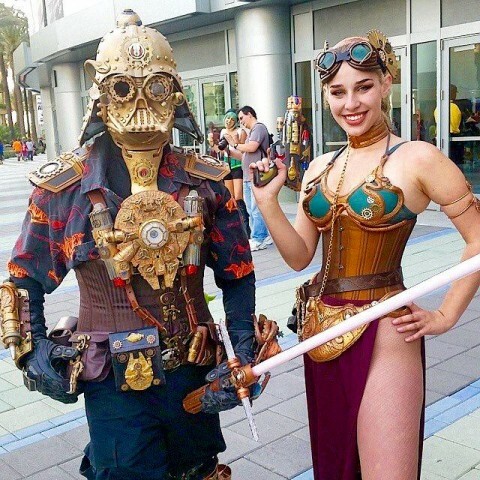 Steampunk Darth Vader « Adafruit Industries – Makers, hackers, artists, designers and engineers! Christopher doesn’t just wear the cosplay to conventions. He’s appeared at charity events and worked to teach kids through STEAM (Science Technology Education Art and Mechanics). Read more about his costuming at The Violet Vixen.